The ever-larger data matrices resulting from continuing improvements in DNA sequencing techniques require faster and more efficient methods of phylogenetic analysis. Here we explore a promising new method, parsimony jackknifing, by analyzing a matrix comprising 2538 sequences of the chloroplast generbcL. 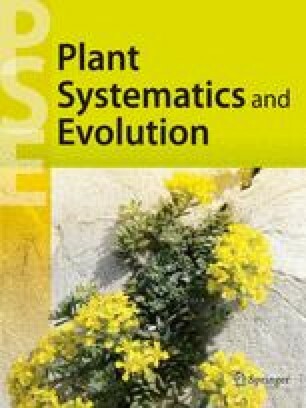 The sequences included cover a broad taxonomic range, from cyanobacteria to flowering plants. Several parsimony jackknife analyses were performed, both with and without branch-swapping and multiple random addition sequences: 1) including all positions; 2) including only first and second codon positions; 3) including only third positions; and 4) using only transversions. The best resolution was obtained using all positions. Removal of third positions or transitions led to massive loss of resolution, although using only transversions somewhat improved basal resolution. While branch-swapping improved both resolution and the support found for several groups, most of the groups could be recovered by faster simple analyses. Designed to eliminate groups poorly supported by the data, parsimony jackknifing recognizes 1400 groups on the basis of allrbcL positions. These include major taxa such as green plants, land plants, flowering plants, monocots and eudicots. We include appendices of supported angiosperm families, as well as larger groups.